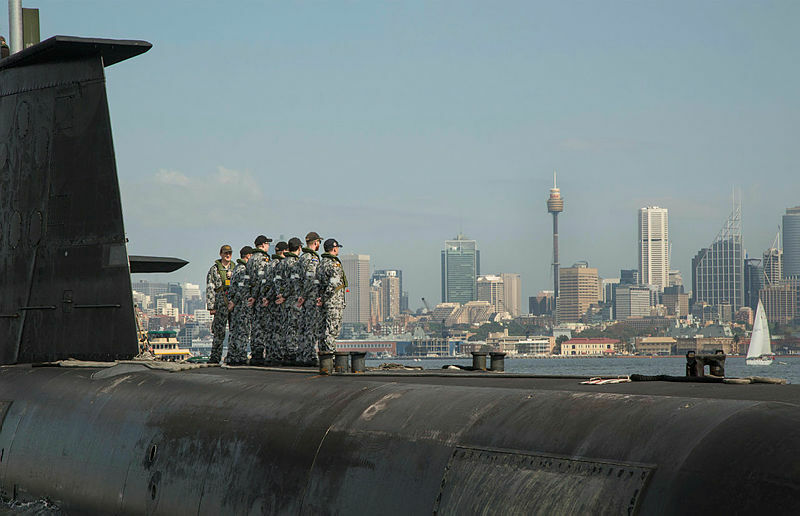 My recent study, Thinking through submarine transition, examines the long journey from Australia’s current submarine capability consisting of six Collins-class submarines to its future capability to be provided by 12 Shortfin Barracudas. I argue that many aspects of the transition are currently open, and it would be beneficial for the government to provide direction on them. In particular, it would be useful for it to define the level of capability it requires during the transition. The study outlines two broad conceptual options, or models, for transition. 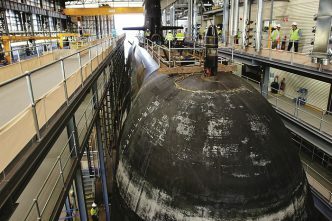 The first of these entails preserving the current quantity of capability (that is, a fleet of six boats) until future submarine number 7 arrives in around 2044. 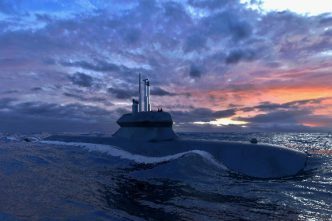 It’s also the option that gets Australia out of the Collins submarine business as soon as possible without creating a dip or gap in submarine capability. To achieve this, three Collins would need to undergo a 10-year life of type extension (LOTE), and a Collins would be retired every time a future submarine enters service. The second model acknowledges the intent of successive defence white papers to increase our submarine capability. 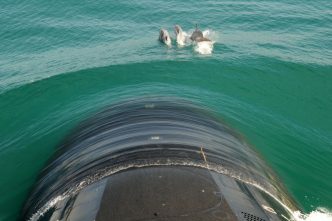 In light of our deteriorating strategic circumstances, the fastest way to do this is to put all six Collins through a LOTE and keep them in service until the additional life provided by the LOTE expires, rather than retiring them when future submarines arrive. This would provide an increase in submarine capability from around 2032 (when the first future submarine enters service) and achieves nine submarines from around 2036. The average age of the Collins fleet on retirement would, however, be around 43, well past the boats’ design life. In the study, I didn’t focus as closely on the quality of capability required through transition. However, last week I attended the Submarine Institute of Australia’s biennial conference. Because this year the focus of the conference was on the Collins LOTE, preparing my presentation and listening to the excellent contributions there gave me the opportunity to consider the issue of quality more closely. The fundamental unresolved question is: what quality of submarine capability does the government want throughout the transition? Government direction on this issue is sparse, but without it, it will be difficult to define and deliver the LOTE. This seems consistent with Chief of Navy Mike Noonan’s statement at the SIA conference that the LOTE is about keeping the Collins as a fighting platform. Yet at Senate estimates hearings when asked about extending the Collins, Defence Department officials have repeatedly referred back to the Collins service life evaluation program, an obsolescence management study conducted earlier this decade. That program identified systems that could potentially fail and assessed whether they could be repaired or replaced. It essentially determined that the Collins’ systems could be eked out until retirement. This suggests that Defence’s thinking has largely focused on obsolescence management. But an obsolescence management approach means that the capability we get at the end of current upgrade projects (control system, communications and sonar, for example) would be the capability we have until the Collins retire. That might have made sense a decade ago, when there still seemed to be some prospect for the future submarine arriving in the late 2020s, but it seems strategically risky now with the Collins needing to serve into the 2040s. As one of the industry presenters at the SIA said, some systems on the Collins could be supported indefinitely, but why would you want to? An approach that freezes the Collins’ capability does not seem consistent with the IIP’s ‘continual and relentless focus on … the highest levels of capability’. At best, it allows the Collins’ capability to degrade, not necessarily gracefully, compared to regional threats. Much of the discussion around the LOTE still seems to regard it as an adjunct to the main game, the future submarine program. But this fundamentally understates the Collins’ importance. 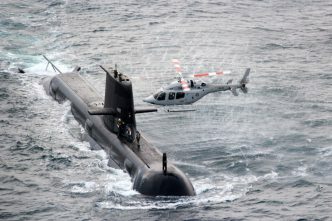 The Collins will be in service for another 24 to 30 years, and for most of that time it will form the core of Australia’s pre-eminent strike capability and strategic deterrent, even after future submarines start to trickle into service at a rate of one every two years. Furthermore, based on the Collins’ current annual sustainment cost of $592 million (page 141), my rough estimate of the operating cost from now until its final retirement is around $13–19 billion (out-turned), and that’s before we factor in any spending on capability improvements. 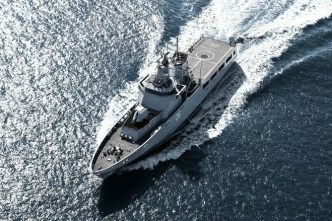 If this was a new project intended to serve for 24 to 30 years, those two factors alone—cost and capability—would make it one of Defence’s top five projects. The future of the Collins should be getting commensurate attention from both the government and Defence.